A Manitoba chiefs organization representing some of the poorest First Nations in the country used over $1 million in training and child care funds destined for member bands to pay off its debts, according to a federally-commissioned audit obtained by APTN National News. The KPMG audit of Manitoba Keewatinowi Okimakanak focused on the organization’s use of training and child care funds flowing from Employment and Social Development Canada (ESDC) during the tenure of former grand chief David Harper who was beset by financial scandal during his last days in office. Indigenous Affairs and ESDC commissioned KPMG to conduct two audits of MKO in 2014 following complaints and reports about Harper’s handling of MKO’s finances. The audits focused on transactions between 2011 and 2014. A KPMG audit specifically targeting MKO’s use of ESDC’s funds under the Aboriginal Skills and Employment Training Strategy (ASETS) program found that $1.16 million of total allocated dollars never made it to MKO’s 30 member communities for training and child care. The audit found that between 2011 and 2014 MKO reported a deficit of $1.6 million. “MKO’s deficits have been largely funded with funds from the ASETS program intended for the various First Nations who are sub-agreement holders,” said the 2015 audit, which has been kept under wraps until now. The audit found that MKO, at the time, did not have the ability to properly manage ASETS dollars earmarked for child care and training totalling about $65 million between 2011 and 2014. ESDC said in a statement Thursday that ASETS dollars continue to flow to MKO and the department is working with the organization to improve its oversight. A second but linked audit, examining how MKO under Harper managed and spent its money, has also been completed and may be handed over to the RCMP by current MKO Grand Chief Sheila North Wilson, according to a recent report in the Winnipeg Free Press. North Wilson could not be reached for comment. APTN previously reported on a draft copy of the second audit which examined about $450,000 worth of expenses incurred by Harper and determined just over one-third could be substantiated. The draft audit also discovered that about $77,000 worth of travel claims filed by Harper did not match-up when cross-referenced with the former grand chief’s records. APTN has since learned that MKO, under Harper, flowed ASETS dollars into its general revenue account. It appears these funds were used for loans to member chiefs and travel, among other expenses. ASETS dollars were used to fund a training retreat at a posh Banff, Alta., hotel in 2012, APTN has learned. At the time Harper told the media the trip, which cost tens of thousands of dollars, was paid for by MKO’s own-source revenues. APTN has learned officials in Harper’s office retroactively altered documentation to cover the financial link between the Banff trip and ASETS dollars. 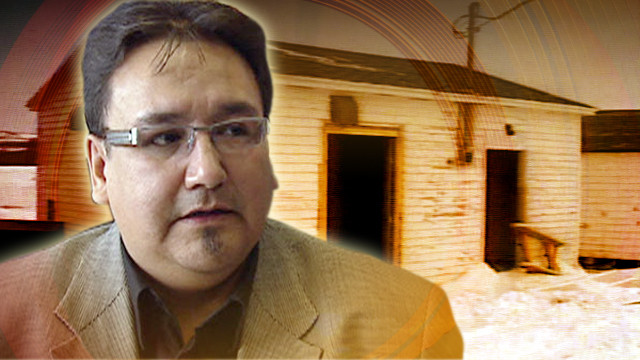 APTN has also obtained a $5,000 loan agreement between MKO and St. Theresa Point Chief David McDougall. The agreement was signed by former MKO financial officer Glen Buchko and flowed the loan through MKO’s economic development corporation, Wabung Development, and was issued against future ASETS dollars owed to St. Theresa Point. McDougall could not be reached for comment. A previous audit found MKO paid Buchko $1.1 million between 2005 and 2011. Harper could not be reached for comment.